The release of No, which was nominated for an Oscar this year for Best Foreign Film, in early March positions it to be a sleeper hit in our winter of cinematic discontent. It’s been a bad year at the movies so far, as nearly every film released has been either a critical or commercial failure. Desperate for substance – or at least competence – I had high expectations for No, but those expectations were all wrong. Despite its high-stakes subject matter, No is an exceedingly modest film, and it is so committed to documenting its true events without sensationalizing them that it ultimately failed to engage me. The year is 1988. Chilean dictator Augusto Pinochet has been forced, due to international pressure, to hold free elections for the first time in his 15-year reign. Everyone expects Pinochet to rig the results, but the “No” campaign gets 15 minutes of free television air time for four weeks leading up to the election, and the campaign team sees it as an opportunity “raise awareness” about his crimes. They hire Rene Saavedra (Gael Garcia Bernal), a successful advertising executive, to run their television campaign. Rene is no revolutionary; he is a capitalist who has stayed on the sidelines of this battle that has been waged since Pinochet was put in power in the early 1970s. He is also a political novice who cannot even name more than two political philosophies. His ex-wife routinely takes to the streets to protest, but Rene concerns himself mostly with paying the bills and caring for his son. But no matter – over the course of film, Rene will get caught up in his nation’s struggle for liberty. But although he becomes the target of scare tactics and has his life threatened by his opponents, the stakes never feel very high. There are many cinematic elements to the story, but the filmmakers are adamantly opposed to using the same kind of sensationalist techniques that Rene uses in the campaign. It is easy to see how a taut thriller could be made from this plot, but the film just refuses to persuade, instead relying only on the facts and a style that evokes documentary filmmaking. No is shot in an aspect ratio (4:3) usually employed for television, and while its use of digital video lends an immediacy to the proceedings, it also ensures that the moments that comprise the film never seem grander – or more deeply connected to the human experience – than they say they are. This is the double-edged sword of shooting on digital video as opposed to film; in trading grandeur for immediacy, you gain a deeper sense of reality, but you lose the meaning that comes with reflection. I’ve always felt that digital video made a lot of sense for thrillers in which making the audience feel as if they are in the action is important; I’m not sure it makes so much sense for a political procedural. For a Chilean, watching this film might be a cathartic experience – this is the story of how they very recently earned their freedom, after all – but I didn’t experience those emotions. 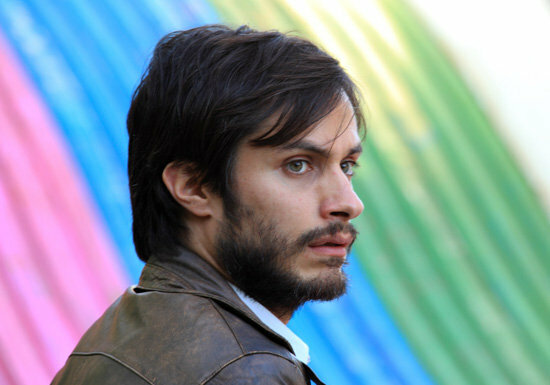 While the stylistic choices are alienating the audience, director Pablo Larrain consistently downplays Rene’s emotional involvement in the struggle, and Gael Garcia Bernal gives a restrained performance. The film ends on a note of estrangement, in which Rene is divested from the emotional payoff experienced by his colleagues. As an American, it was easy to step back and see the connection between the film’s events and American politics, although Larrain seems to mention them only out of obligation. Of course, the American CIA installed Pinochet in the first place; this fact is mentioned early in the film as a point of reference but does not factor into the plot. The marketing techniques Rene employs smack of American corporate culture. When he begins putting his corporate spin on the ideals of the “No” campaign, I for one had trouble divorcing the events of the film from Obama’s 2008 campaign, which also relied heavily on such techniques. The film may not criticize American involvement in its text, but its cinema verite style is a statement of ambivalence towards the American marketing principles that influenced the way the “No” campaign was run. When we sell our freedom with bells and whistle, do we lose something in the process? A few more bells and whistle would have made No more entertaining, but you can’t accuse the filmmakers of not sticking to their convictions.